Batman and Catwoman are the most loved of all DC Comic characters. Playtech through their recent collaboration with Warner Bros Entertainment will bring to action all comic characters in their pokie games. The DC Comic Pokie series is set to succeed the Marvel themed pokies. The big question is whether the new pokies will do as good as the Marvel series or will they disappoint? 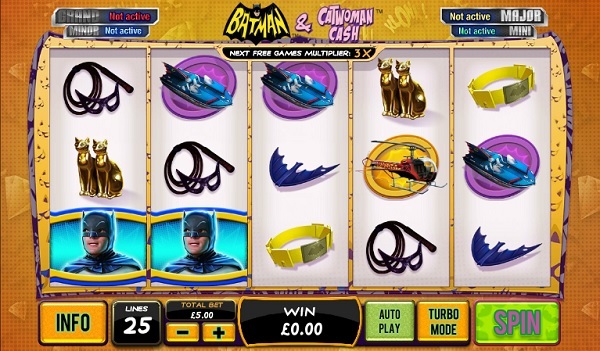 Similar to other pokies by Playtech; Batman and Catwoman Cash pokie have 25 lines, 3 rows and 5 reels. The pokie is colourful with 3D graphics and quality sound. The pokie is set to bring you entertainment and plenty of rewards through its four progressive jackpots and two bonus features. Playtech is one of the top online casino software providers with about two decades experience in the world of online casino gaming. Through the years, they have remained at the top thanks to their strategic partnerships with licensees and companies like Warner Bros Production company who gave the rights to develop DC Comics themed pokies. The pokie will hardly disappoint when it comes to giving you goodies. There are features like the free spins, stacked symbols and multipliers. The Cat Burglar feature is a good one with its role of giving you more and more multipliers. There is the free spins bonus that is activated when you have three bonus symbols on the first, third and fifth reel. There is the Cat Burglar bonus feature which will earn you multipliers that will count when you are on the free spins round. When on the free spins, you will have Batman boxes that will reveal the number of free spins to get depending on the box you go for. 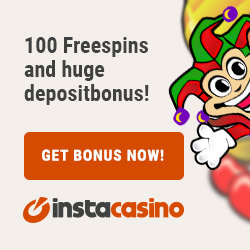 You can get between 7 and 25 free spins. You will also get Catwoman boxes and they will be used to reveal the symbol to be stacked when the free spins feature is in action. The fact that the four progressive jackpots are random and are based on your luck makes spending time on Batman and Catwoman pokie something to love. The grand jackpot is attached to the DC Super Heroes progressive jackpot and the jackpot will grow every time a player wagers on the game. 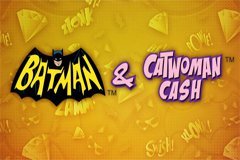 For a standard pokie game, Batman and Catwoman Cash pokie are one game you should seek to spend you bankroll on. From my free play session, this is a pokie worth every dime. The reasons why you would not like it would be if you prefer to play a game with more pay line, a pokie with a different kind of theme or adjustable pay lines. This is the ultimate machine game that will give you the superhero comic feeling. The animations are incredibly done, the features are in plenty and the theme has been done right with all the DC Comic superheroes. We are not sure when the pokie will be released but we hope that Playtech will launch it in time for the festive season.